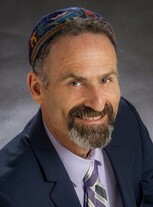 Upon being encouraged to consider the rabbinate, I applied to and was accepted into rabbinical school (HUC-JIR) in 1993 and was ordained as a Reform rabbi in 1999. A year later, I became the father of our third son. By 2006 I was compelled to combine my passion for spirituality and music and quit my day job to go on the road as a musician. It was good work, although Matisyahu was more successful than I was and it cost me the stability and security of being married to a spouse who had other interests. We divorced in Feb 2007. I served Cincinnati's Jewish community as a rabbi and teacher for ten years with a special emphasis in Jewish healing, spirituality, and music. In July 2010, I moved to New England where I served as a hospice chaplain and rabbi in Brattleboro, VT. Within two years, I was offered a full-time position as rabbi of a much larger congregation in Miami, FL. As of July 2012, I am serving Temple Israel of Greater Miami. I fondly remember singing with "the Bosley Barbers," hanging out with my high school sweetheart Tina Sigel, and starting an extra-curricular group with Cynthia and Sonya Rutstein which we called "The Society for Inner Peace." I don't think it should surprise anyone that I ended up where I am today. Tommy Heyn added a photo to his profile gallery.